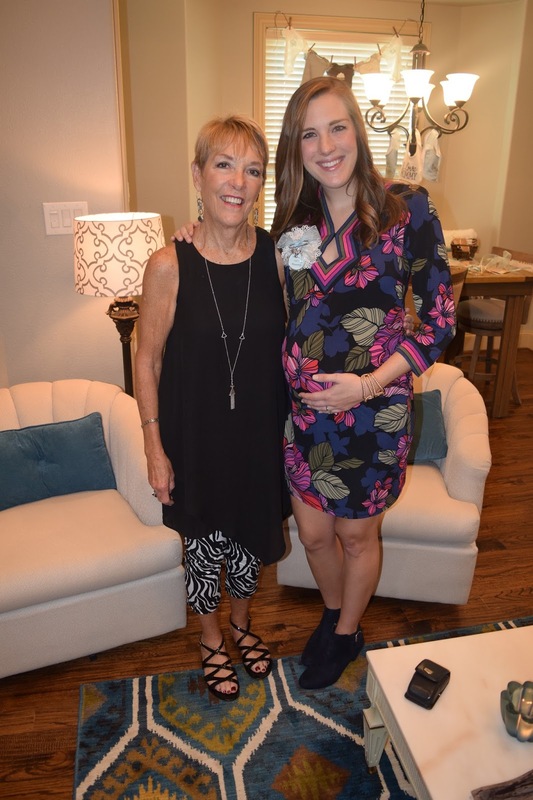 I had my first ever baby shower the weekend before Halloween and am excited to share a few pictures on the blog today! 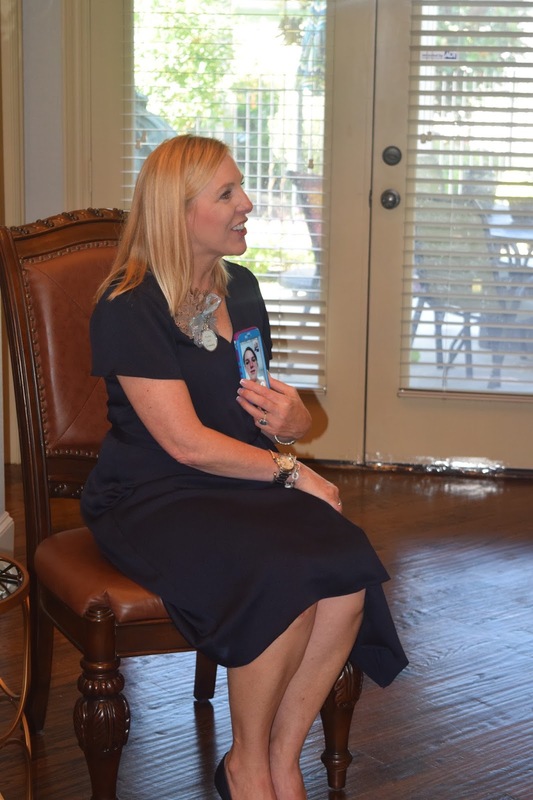 It was held at my mother-in-law's house and co-hosted by 5 wonderful family friends who all watched Parker grow up and have been so welcoming to me ever since I became a Phelps. Everything was absolutely perfect. The decorations were so beautiful, thoughtful, and personal. The food was delicious, and I happily helped myself to two platefuls. 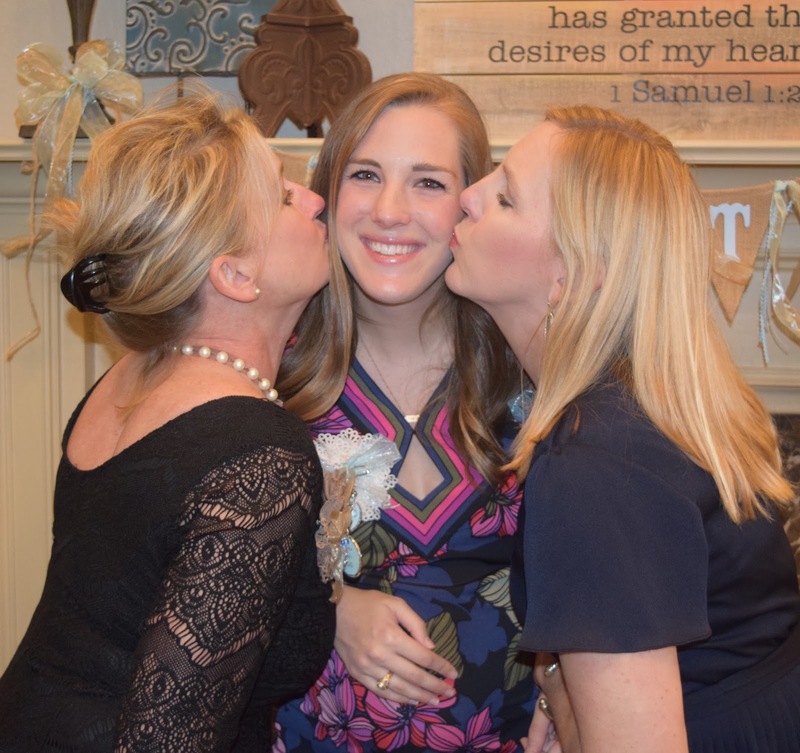 The guests were all so sweet and loving celebrating our baby boy. It was just the best afternoon, and I am so grateful to all who were involved! 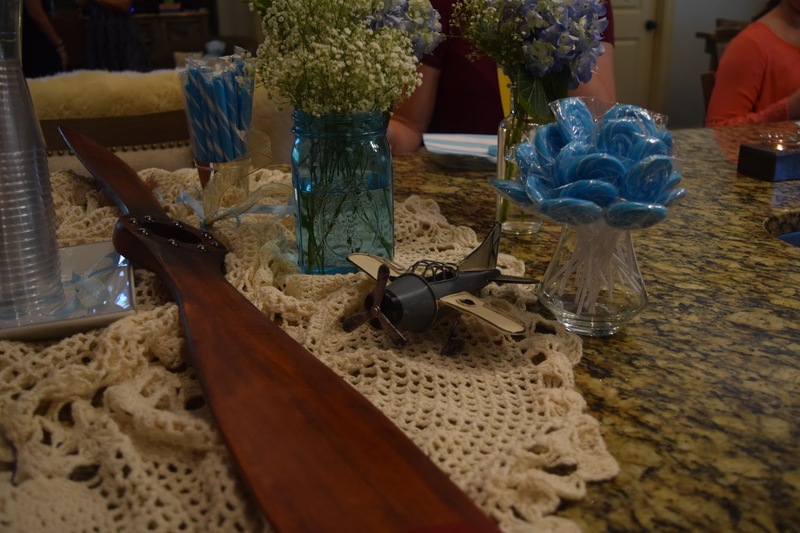 The decor was spot on to what we are envisioning for the nursery... soft, vintage airplane for our future little flyboy! On second thought, the indigestion was probably more so a product of indulging in this wonderful little feast. 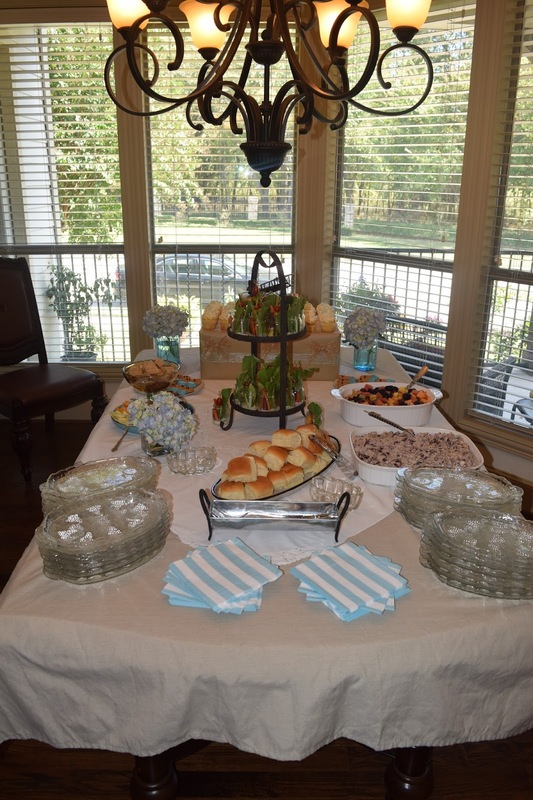 There were chicken salad sandwiches, fruit salad, cheese and crackers, mini veggies, cookies, and cupcakes. Everything I have been craving and then some! My sweet grandmother flew in all the way from Florida to surprise me! 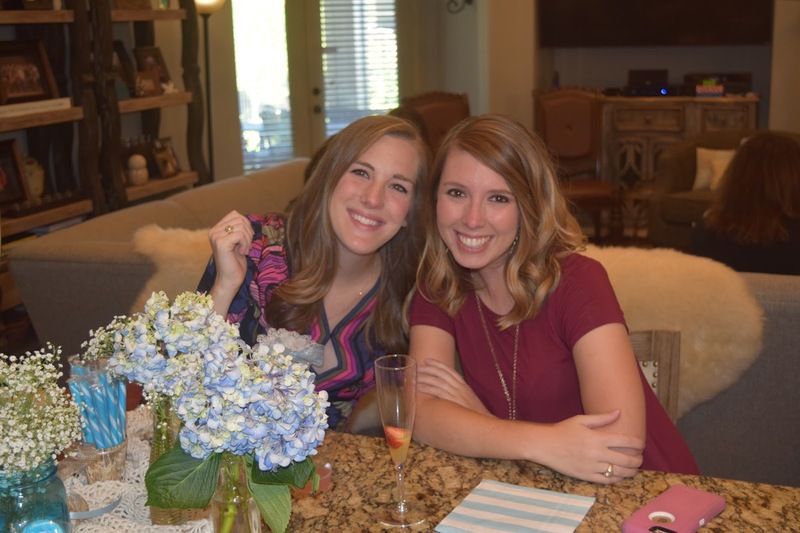 Love this lifelong college friend! Delta Gamma for life. 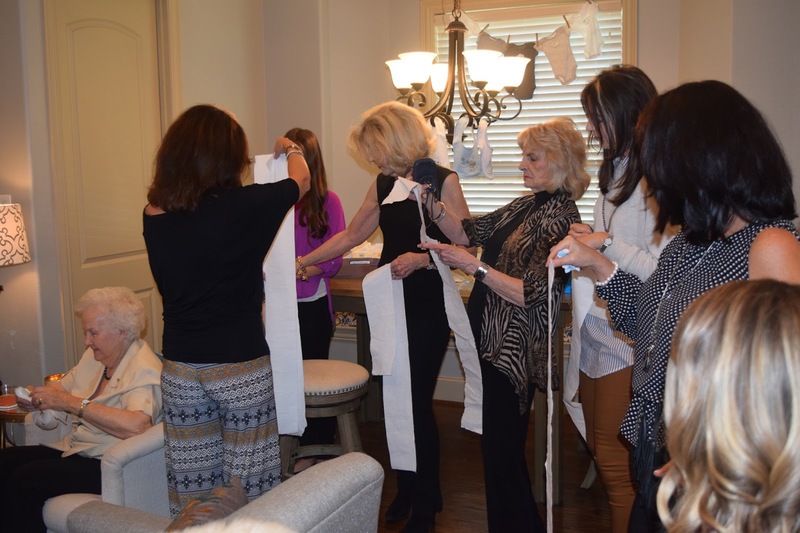 One of the games was to guess the circumference of my belly using toilet paper. The person that guessed the right amount of pieces to fit around my baby bump won a prize! Everyone guessed, and then they measured me. It took 10 pieces, and 5 people guessed the correct number! They did a tie breaker and had everyone guess what day of the week February 25th is (my due date). Everyone guessed, and they looked at me to give the right answer. I was like, "Ummm, Saturday I think??". It was Saturday, but I was embarrassed that I didn't know for sure! Now I won't forget! My twin sister wasn't able to make the trip since she has a newborn at home, so we Facetimed her in for the gift opening. Technology for the win! 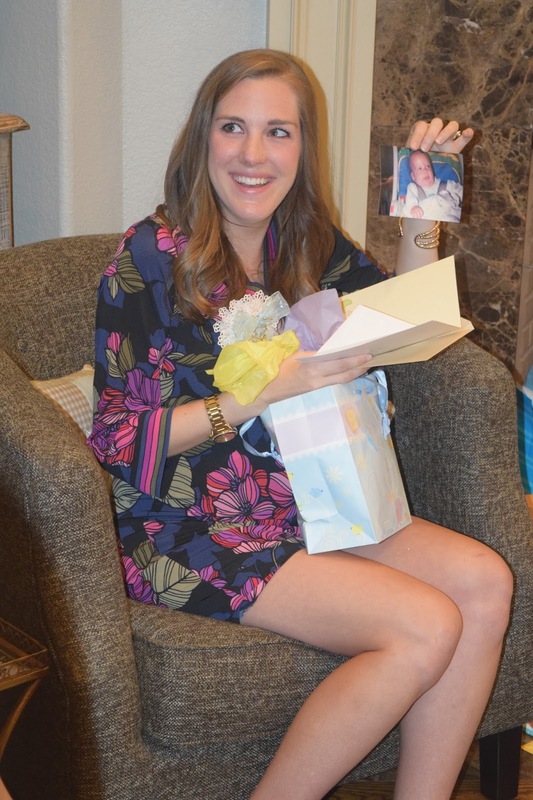 Parker's sweet grandmother included a picture of baby Parker in her card. I was so excited because I hadn't seen many pictures of baby Parker before! This was my reaction when I saw how big his head is... I have to birth that yall! ;) It's a running joke in the family that Parker and this baby both have the "Phelps head". Our son's head has measured big at every appointment, and seeing that picture of baby Parker, I now know why! I spent time after the shower looking at albums of Parker's baby pictures. He sure was cute, even with that big old head! 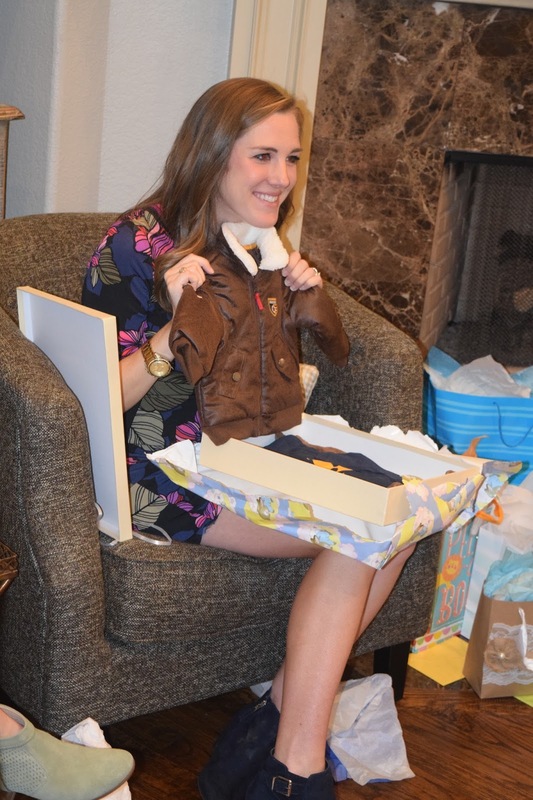 We received so many wonderful gifts and the most adorable outfits. This baby bomber jacket from my Nana had me swooning. I could just die! 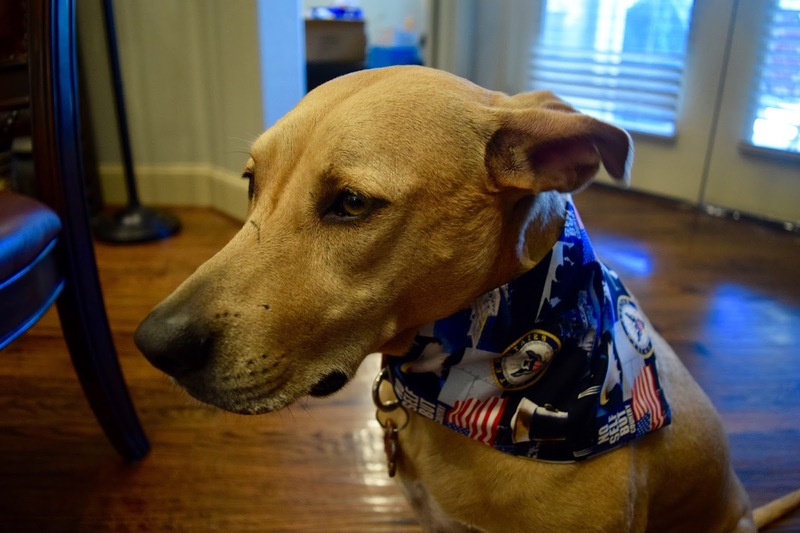 Parker loves it too. Can't wait to see our little guy waddling around in it! The two best grandmas our little guy could ask for. Our son will have the best Lolli (Parker's mom) and Grammy (my mom)! At the end of the shower, this party crasher decided to show up and greet everyone. She is the big sister, after all! She looks thrilled, per the usual. It was such a special day filled with so much love and joy. We are so excited for this baby boy to arrive and feel so humbled and grateful by how many people already love him. 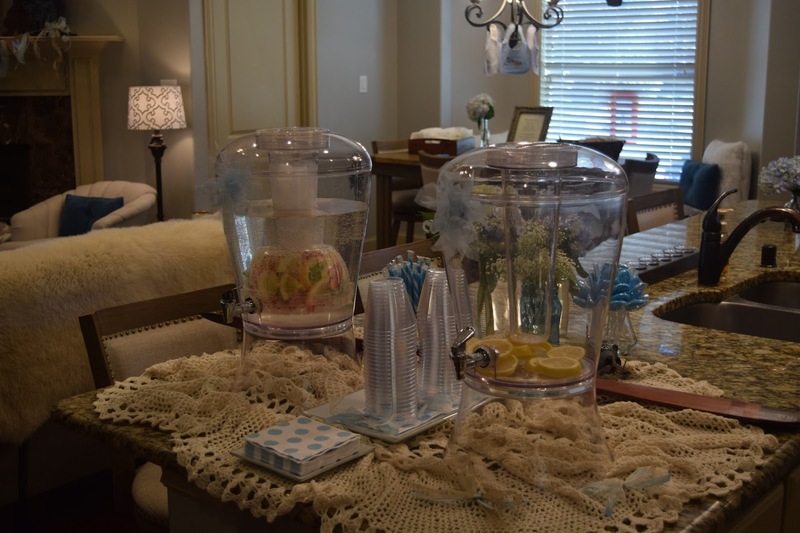 Your baby shower is absolutely adorable!!!! That baby bomber jacket is just the cutest thing!!! Sooooooo excited for you!!! I love this and yes, swooning for sure over the bomber jacket! Also, big headed babies fo' life! I can't wait to meet this sweet boy! What a wonderful shower filled with people you love-- you look so amazing, that dress is incredible! Love all of the cute little details & that little bomber jacket is the cutest. This cracked me up. What a fun shower I'm so glad you have all these wise women loving on you. Go mama! If it makes you feel any better many people told me that most babies are similar to their mothers in birth weight. I was nervous about it as well since Tom was almost 9 lbs. I was only 6. George was under 6, so for us it was true! 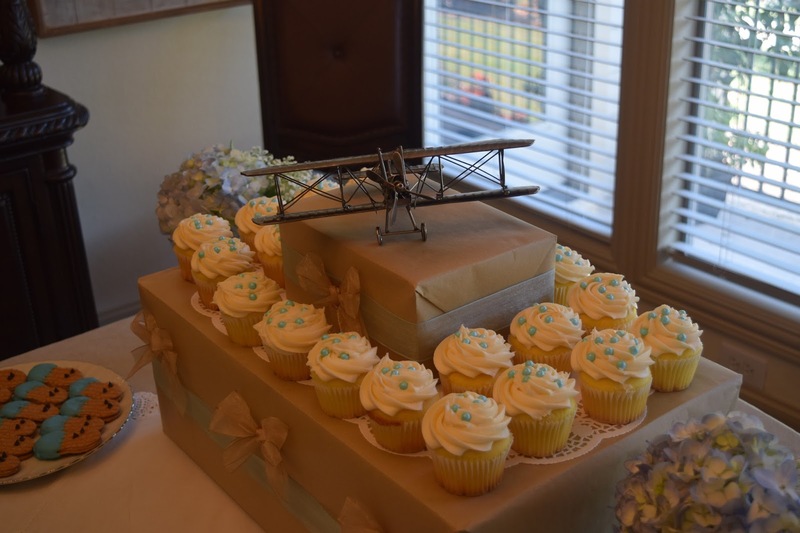 Oh how wonderful ♥ I love that you guys are going to have an airplane-themed nursery for him! And that bomber jacket, so darn cute!